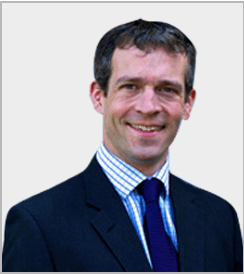 Jim Carmichael is a Consultant Orthopaedic Surgeon specialising in disorders of the foot and ankle. His consultant NHS appointment was in 2010 to Peterborough and Stamford NHS foundation trust (now North-West Anglia NHS Foundation trust). His clinical practice covers surgery of the foot, ankle and knee and all aspects of trauma orthopaedics. He is involved in research and development, teaching and practice development and has been awarded a Clinical Excellence Award for his work in developing the North West Anglian Diabetic Foot Service. Jim grew up and went to school locally. He completed his surgical training on the south coast before undertaking fellowships at the North Sydney Orthopaedic and Sports Injury Clinic under Dr David Wood and Dr Merv Cross. On return to the UK he then undertook a further fellowship under Mr James Calder at the Clinic for Foot and Ankle Surgery and Chelsea and Westminster Hospital before returning to the Peterborough area to take up his consultant position. Joint replacement surgery of the ankle and knee. East Anglian Foot and Ankle Society. Site Principle Investigator for TODFU – Topical Oxygen Delivery in the treatment of Diabetic Foot Ulcers. Site Investigator for ART – Ankle Fracture Rehabilitation Trial. He is also an active member of the North West Anglia NHS Foundation Trust MSK Research committee and is an active reviewer for the Bone and Joint Journal. A full list of his published research can be found on PubMed. The foot and ankle team at Peterborough City Hospital has gained a reputation for providing high quality and reliable training for the trainees from the Cambridge based East of England Higher Surgical Training Rotation. This training involves supervising registrars in the academic and clinical development of their career. 2018 – Cambridge Cadaveric Foot and Ankle Workshop. 2017 – Advanced Trauma and Life Support Cheltenham. 2017 – Foot and Ankle Round Table, Cardiff. 2013 – Leicester Foot and Ankle Trauma Course.